Antiquarian booksellers Wilfrid de Freitas and Susan Ravdin are in the Atwater Library’s reading room to give an expert opinion on the value of your special books. First come, first served. *FEE $3 per book for Atwater Library members and $5 per book for others. All proceeds go to the Library for improvements in our community services. Antiquarian booksellers Wilfrid de Freitas and Susan Ravdin were in the Atwater Library’s reading room to give an expert opinion on the value of your special books. *FEE $3 per book for Atwater Library members and $4 per book for others. All proceeds go to the Library for improvements in our community services. I Was Born, But…, the great 1932 silent film by Japanese director Yasujiro Ozu, was screened in the Library’s auditorium with Jamie Woollard, who provided accompaniment on a vintage upright piano. 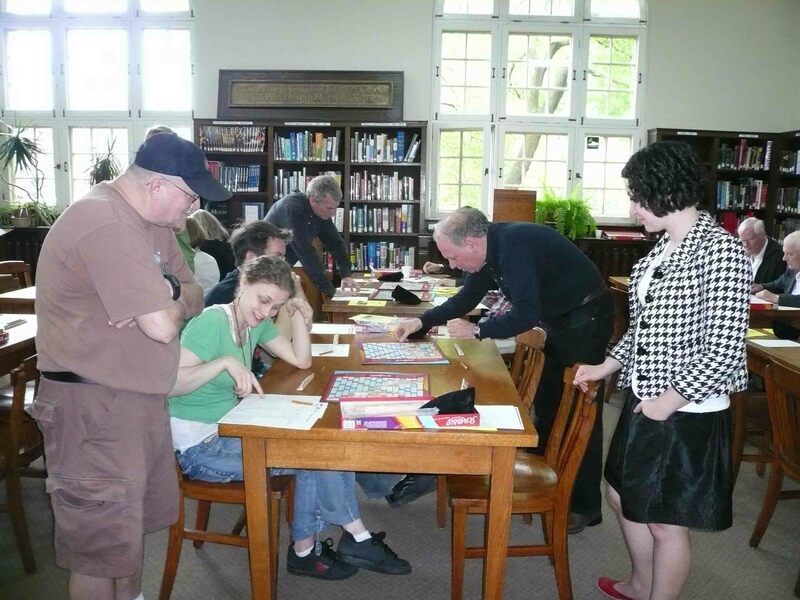 On Saturday, April 20, 2013, from 12:45 to 4:00 pm Scrabble enthusiasts came to the Library’s Reading Room to watch world champions David Boys and Joel Wapnick in action and have a chance to match wits with them. There were two games. In the first, players were able to pay $5 to have a champion play their turn. The second included opportunities to be one of several simultaneous challengers of a champion. The event raised over $1,500 for Atwater Library community programming. How can libraries adapt to the digital age? On Monday, April 8, 2013 from 7:00 to 9:00 pm the Atwater Library and Concordia’s University of the Streets Café jointly hosted a panel discussion on “Connecting People to Content: How can libraries adapt to the digital age?” Panelists included Eric Craven, Coordinator of the Atwater Library’s innovative Digital Literacy Project; Kathleen King, a community worker at the YMCA Residence; and Edward (Ted) Little, a Concordia professor specializing in socially engaged and activist theatre. 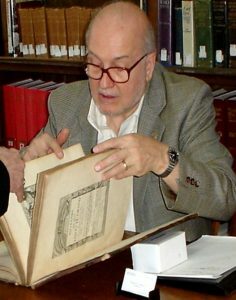 Antiquarian booksellers Wilfrid de Freitas and Susan Ravdin were in the Library’s reading room to give an expert opinion on the value of people’s special books. *FEE $2 per book for Atwater Library members and $3 per book for others. All proceeds went towards Library improvements. In conjunction with BLOOMSDAY MONTREAL, from June 12 to June 27, 2012 the Atwater Library displayed photographs by Kate Hutchinson from Ulysses, a personal journey. 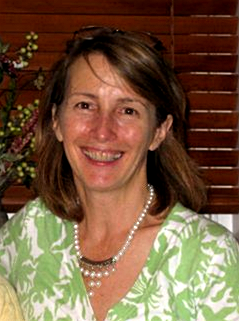 Kate Hutchinson used James Joyce’s seminal novel Ulysses as a premise for discovering and connecting with her Irish roots. She and her father travelled to Dublin to explore their connections to Ulysses and photographed the results. Much like in Ulysses many of the images featured the mundane and everyday life, with the idea that much of a personality can be revealed in simple actions and thoughts. Hutchinson’s great-great-grandfather was Lord Mayor of Dublin on the day Ulysses features and is therefore mentioned in Joyce’s novel on several occasions. Author Paul Almond read from and discussed the latest book in his Alford series, which covers 200 years of world history from the perspective of a family who settled on the Gaspé coast of Québec. For more information about the author and his work, see www.paulalmond.com. This event was co-hosted by the Atwater Library and the Quebec Writers’ Federation as one of their Writers Out Loud series. The Cabinet of Dr Caligari, a 1920 silent horror film, was screened in the Library’s 1920 auditorium with Jamie Woollard providing accompaniment on our vintage upright piano. The Cabinet of Dr Caligari was directed by Robert Wiene from a screenplay by Hans Janowitz and Carl Mayer. It is one of the most influential of German Expressionist films and is considered one of the greatest horror movies of the silent era and credited with introducing the twist ending in cinema. Admission: Pay what you can. Tax receipts for donations of $15 and more. Net proceeds went for the Atwater Library’s community educational and cultural programs. Antiquarian booksellers Wilfrid de Freitas and Susan Ravdin are in the Library’s reading room to give an expert opinion on the value of people’s special books. *FEE $2 per book for Atwater Library members and $3 per book for others. All proceeds for Library improvements. A wide variety of lightly-used paperbacks and hardcover books – all for a song! Delicious barbecued hotdogs and soft drinks available for a donation to the Library. The wonderful exhibit of treasures from our organization’s archives took place in the elegant Reading Room. Curated by Edward McCann, the exhibit’s title was from Leonard Cohen’s inscription of his 1964 book Flowers for Hitler, that was in the display. The exhibit was launched at our AGM on June 14, 2011. Click on this link to see an August 5, 2011 Concordia University Television (CUTV Montréal) interview with volunteer curator Edward McCann: >http://www.cutvmontreal.com/videos/3 – starts at about 4:15 and ends at 8:00. The Annual General Meeting of the Atwater Library of the Mechanics’ Institute of Montreal was held in the Library’s Reading Room, where an exhibit of treasures from the organization’s archives was launched at the start of the evening. The exhibit, called “For my dear Atwater” (Leonard Cohen’s inscription of his 1964 book Flowers for Hitler that is in the display), was curated by Edward McCann. OCTET PLUS is a semi-professional choir of about 20 voices, directed by Alan Daye and accompanied by Constance Osborne on the piano and John Osborne on the flute. 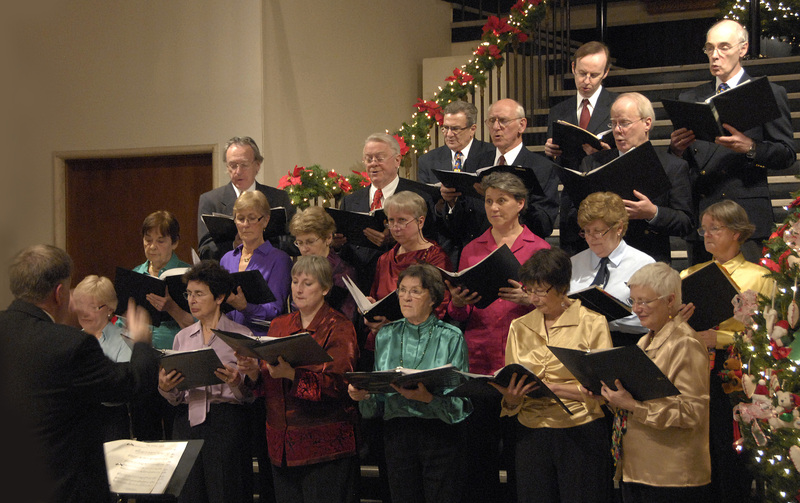 *Admission is $15 and included a post-concert reception with desserts and coffee. The Atwater Library and the Consulate General of Israel co-hosted a reception in honour of visiting Israeli author Alex Epstein. The author read from and discussed his collections of short stories, Blue Has No South and Lunar Savings Time. The Atwater Library had a reception to celebrate the launch of Suzanne Daningburg‘s novel The Lillivax Inheritance: A Montreal Mystery. The author read from and discussed the book, and there were live music and refreshments. Free admission. Click here to see a Westmount Examiner story headlined “Scrabble champs put the fun back into fundraising”. 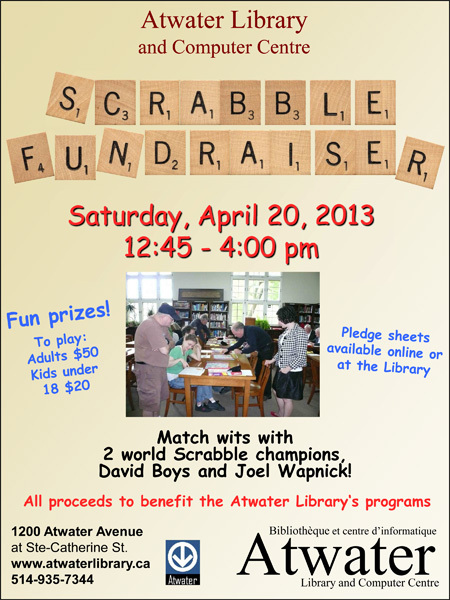 The 2011 Atwater Library Scrabble FUNdraiser took place on the afternoon of Saturday, April 2 with world champions Joel Wapnick and David Boys. Here’s a picture of the two champions in action at the 2009 event (standing and wearing black). The registration fee was $50 minimum for adults and $20 for children (under 18). Tax receipts were issued for individual donations of $15 and more. There were refreshments and prizes for best scores, lucky seats and most money raised for the Atwater Library. Scrabble sets were donated by Hasbro Canada. Buster Keaton’s 1926 silent comedy film The General was screened at the Library’s 1920s auditorium with Jamie Woollard providing accompaniment on our vintage upright piano. The doors opened at 6:30 pm to 7:00 pm. *Admission was “pay what you can”. Two Canadian short films by Erin Weisgerber were shown first and the screening of The General was over at 8:30. Refreshments were available. All proceeds went to the Atwater Library’s community educational and cultural programs. *FEE $2 per book for Atwater Library members and $3 per book; for others. All proceeds went for Library improvements. A dynamic group of ten musicians offered their talents in support of the Atwater Library: Claude Bertrand (Guitar, Irish Bouzouki and Vocals), Claire Boucher (Vocals), Francine Boisvert (Fiddle), Olga Zaric (Vocals), Patti McCurdy (Tin Whistle and Vocals), Dianne Connelly (Celtic Harp and Vocals), Brad Hurley (Guitar, Irish Flute and Vocals) , Erwan Montfort (Vocals) , Danielle LeBlond (Mandolin and Vocals), and Donna-Marie Sullivan (Bodhrán and Vocals). Over $700 was raised for the Library’s community educational and cultural programs! The book was on sale at a discount price. The raffle proceeds went to the Atwater Library for community educational and cultural programs.